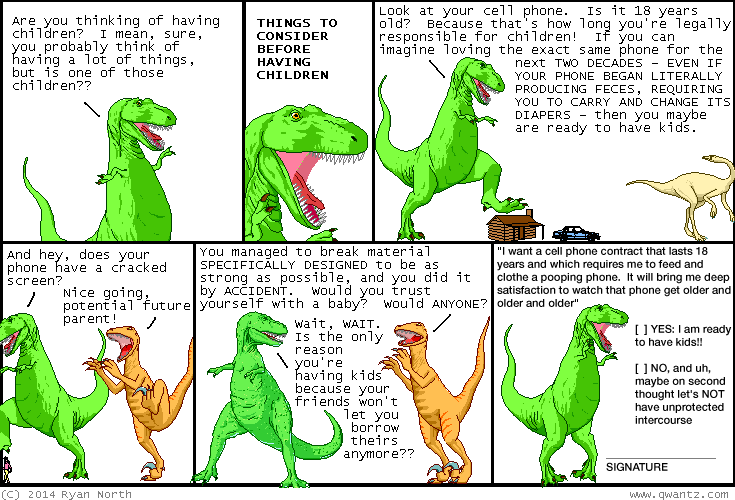 Dinosaur Comics - October 29th, 2014 - awesome fun times! –AN OBJECTIVE AND MARKED IMPROVEMENT. October 29th, 2014: HEY GUESS WHAT?? Adventure Time #33 is out today! You can read a preview here, read a REview here, and buy the book digitally or at your local comic book zone! !